The ketogenic diet, once an obscure, fringe dietary concept, is now firmly in the zeitgeist. 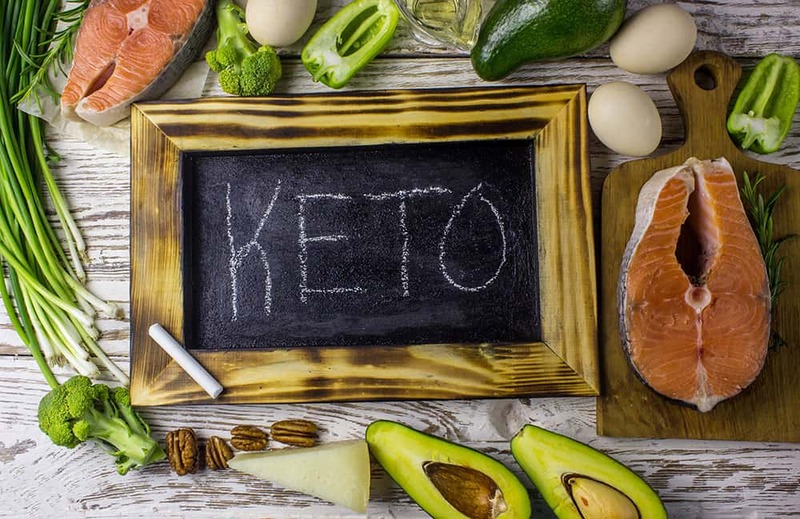 In the past few years, people have been enthusiastically jumping on the keto bandwagon and, unfortunately, the results have been mixed. That said, one demographic that has seen both fantastic gains and crushing disappointments on the ketogenic diet is women in the various stages of menopause. What’s the key to making the ketogenic diet and menopause work well together? Menopause can be rough, especially when it comes to regulating your weight. The dreaded weight gain during menopause is, at its core, the result of the changes in a woman’s hormonal system. And the ketogenic diet is quickly getting a bad reputation for depleting women’s hormone levels. So if a menopausal woman already has low hormone levels, is the ketogenic diet right for them? As a 49-year-old woman, this is a question I have been asking myself a lot lately. I’ve been following the ketogenic diet for the past five years. It’s been miraculous for my brain clarity, keeping my weight down, and giving me limitless energy. But as I creep closer to 50 and start experiencing more symptoms of menopause, I realize that the keto lifestyle may have some drawbacks for women going through menopause. Earlier this year, I started noticing symptoms of thinning hair, extremely dry skin, muscle fatigue, inability to relax, waves of anxiety, and diminished motivation levels around exercise. Being a wellness doctor who coaches women through these kinds of symptoms, I was suddenly struggling to coach myself! That’s when I decided to run a DUTCH hormone test on myself. If you are not familiar with a DUTCH test, it’s a urine test that measures your estrogen, progesterone, testosterone, dopamine, serotonin and melatonin levels. My DUTCH test shocked me. It was very telling as to what the ketogenic diet had been doing to my hormones. My estrogen, progesterone, and testosterone were extremely low. In fact, these hormones were lower than that of a post-menopausal woman. And I was still having regular periods! I immediately began digging for answers. First I looked at my diet and lifestyle. What did I need to change to bring those hormone levels up so I could gracefully move through my menopause years and still get the benefits of the ketogenic diet? Menopausal women need to do the ketogenic diet differently. It doesn’t matter if you are in perimenopause, transitioning through menopause, or post- menopausal, the fact that our estrogen and progesterone levels are rapidly declining means we need to do keto differently. Here are three critical modifications I recommend perimenopausal and menopausal women incorporate when doing the ketogenic diet. What?!!! I know, I know. Scary! This is a frightening thought for many of us who love the keto lifestyle and how it makes us feel. But you need some carbohydrate-rich foods to make hormones. 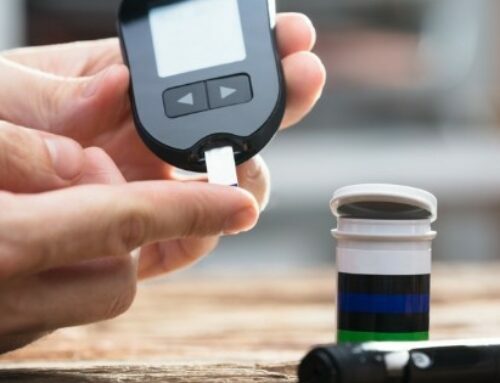 Research is showing that declining estrogen in a post-menopausal woman makes her three times more likely to develop metabolic syndrome (aka insulin resistance). A true ketogenic diet encourages you to stay under 20 grams of net carbs. As a rule, I’m a little more generous: I recommend staying under 50 grams. But if you include foods from the lists above into your diet, you will see that it’s impossible to add these foods in and still stay under 50 grams. That’s why I tell my menopausal patients to add in more high carb days, days where they consume somewhere between 100 to 200 grams of net carbs. If you’re still having a cycle, it’s best to add your high carb days closer to the start of your cycle. This will minimize symptoms like hot flashes, insomnia, and the gain of dreaded belly fat. If you no longer have a cycle, you can do several weeks of keto, then add in a whole week of hormone building days, picking foods from the lists above and getting well over 100 grams of net carbs. After one week of these higher carb foods, move back into keto and you may notice that you drop more weight. It’s the moving in and out of the ketogenic diet for menopausal women that makes it so effective. Sound confusing? To help you navigate the keto diet around your cycle, I created a Ketobiotic Reset specifically for women. It gives specific instructions on when to start and what to eat on each day of your cycle. If you are a post-menopausal woman and don’t have a cycle, it’s even easier: no matter what day you start, that would be considered Day One and then you follow the plan for 30 days. Download the free guide here. Following the ketogenic diet is usually accompanied by an interest in fasting. I am a big fan of fasting and I believe it can be a huge help to menopausal women. I’ve seen very sick patients get better quickly with fasting. But I have also seen multiple block fasts deplete a woman’s hormone levels so much that they lose their cycle altogether. Just like the ketogenic diet, menopausal women need to approach fasting with a different twist. If you are perimenopausal and still have a cycle, you are going to want to time your fasting around your cycle. For instance, because your body makes the most progesterone in the luteal phase (day 14-28), I recommend that you don’t do extended fasts during this time. A short intermittent fast of thirteen to fifteen hours is okay, but no longer than that. And remember, to help your body make progesterone you need to eat the carbs I listed above during your eating window. If your DUTCH test comes back with a normal balance of hormones for post-menopause, you can fast whenever you feel moved to. If your DUTCH test comes back with extremely low progesterone and/or estrogen, then I recommend you stick to intermittent fasting or fast mimicking until your hormones are back on track. There are two places in your body where toxic estrogen gets broken down: your liver and your gut. If these two organs are unhealthy, toxic estrogen will build up in your body. This can lead to all kinds of hormonal problems; it can also increase your chances of developing breast cancer. If you start down a keto path and it helps some of your menopausal symptoms but not all your symptoms, you might look to at a possible imbalance in your liver and or gut. The bottom line with the ketogenic diet and menopause is this: don’t give up! The menopausal journey is a long one with many twists and turns. You can’t surrender! I’m here to tell you that in spite of the challenges of menopause, you can positively thrive on the ketogenic diet when you use the three strategies outlined here! As always, I’m cheering you on!